All Posts Tagged With: "Hair Removal"
So today I’m testing out the Olay Facial Hair Removal Duo on a small area on my arm. Here’s are the before & after pics. Olay Facial Hair Removal Duo is a NEW hair removal product from Olay deisgned to remove fine to medium hair. Shaving your bikini area can be a challenging task. What’s a girl to do then? Consult an expert on the subject, of course. Here to answer questions about getting the smoothest bikini area shave possible is Venus Scientist, Claire Girdler. Talking Makeup has caught up with Ryan Bloch, president of Laser Cosmetica in New York. He told us all about his top procedure, laser hair removal! What is your premiere service? We are known best for laser hair removal as we are the leading laser hair removal provider in New York. We have multiple lasers and can treat all skin types. Bryce Gruber of TheLuxurySpot.com covers the newest trend in vaginal art, Vatooing, at Completely Bare Spa in New York. Take note, vajazzle enthusiasts! I’m all about smooth skin. This is why finding the right razor for shaving and getting that silky soft skin without any pain is so important to me. 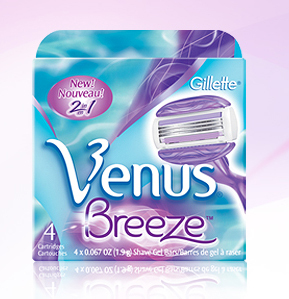 I’ve recently discovered Gillette Venus Breeze and I became a fan. One major plus about this razor is that it doesn’t pull on my skin and it glides smoothly and effortlessly on my skin. It feels cushioned, if that makes sense. 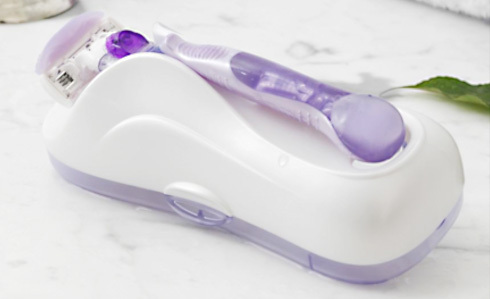 The Gillette Venus Breeze has a built in softening gel bars so it suggesting to skip the shaving cream, but because I’m so used to shaving cream I still use it with this razor. I know, it’s tough to fight habits sometimes, LOL. Gillette Venus Breeze the official description on www.gillettevenus.com : 2-in-1 Shave Gel Bars—Makes Shaving So Easy. Secret to a time-saving shave? Venus Breeze. Simply wet the razor for an amazingly smooth shave. Flexible Shave Gel Bars are built in, and contain rich body butters for a light lather, a smooth glide and no need for separate shave gel or soap. Watch my interview with Fashion Expert Hitha Prabhakar about the latest trends in winter beauty. Hitha Prabhakar is national celebrity beauty/fashion expert, a contributing fashion editor and retail industry expert. As the former style writer for Forbes magazine and Forbes.com, Hitha covered the luxury industry as well as men’s fashion. Brand New Mini Wax Kit from Anastasia Beverly Hills Set To Launch in January 2010! Created by The Definitive Brow Expert Anastasia Soare to whisk away unwanted hair. 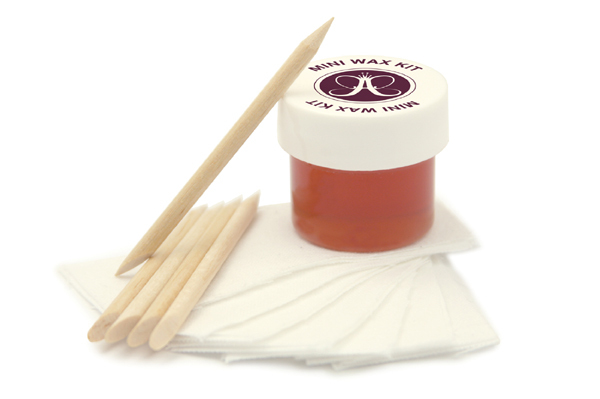 Mini Wax Kit is designed for convenient at-home use. Sugar based wax is gentle and easy-to-use. Great for quick brow and lip maintenance in-between regular salon appointments. Emmanuelle Chriqui, star of HBO’s Entourage, has partnered with the new Braun bodycruZer to launch a Web site dedicated to male bodygrooming. She’ll serve as the “voice” of the online women’s movement to get more men to groom below the neck. Believe it or not, only one-third of guys claim to wax, trim or shave below the chest. Emmanuelle will post blog entries to the site on a weekly basis and encourage women to share their thoughts about the posts and other male bodygrooming topics as well as praise the men in their lives who are dedicated to good bodygrooming habits by sending them a customizable Mr. bodycruZer video starring Emmanuelle. Men can also get in on the bodygrooming conversation by posting comments to the site and by showing off their well-groomed – or not so well-groomed – bodies by entering the Mr. bodycruZer online contest. In addition to the Mr. bodycruZer video, Emmanuelle is also featured in a tongue-in-cheek video that introduces the movement. Shobha, NYC’s hair removal expert, will offer its client-coveted 2-for-1 bikini treatments for seven days this September. The offer is valid at all three Shobha Salons when you come with a friend (at least one person must be new to Shobha). Visit www.myshobha.com for more details.